Miles & Kilo is finally very close to release on Xbox One and Windows 10 Store. Microsoft are currently testing the latest submission build and we hope to have the results of that testing early next week. As long as there are no bugs to fix, we just need to set a launch date. Exciting times! Happy Birthday to us! Four Horses is now 3 years old. In those three years we've managed to publish three games on Nintendo 3DS and Switch. Not too shabby. So, as our little treat to you, have some cake. If you want to locate the treats, you might have to zoom in a little. Here's a quick update on what we're currently working on. Lately we've been getting Miles & Kilo running nicely on the Xbox One and Windows Store. We've recently finished getting the achievements working within Xbox Live and are right now getting the cloud based save game working. Once this is done, we need to add controller vibration, player stats and leaderboards. After a little bit of polish, localisation and testing it should be good to submit to Microsoft. Can't wait. It seems so long ago that we announced that we are exhibiting at EGX, but the day has finally arrived! We are here at stand RZ22 in the Rezzed Zone North section, come along and say 'hi'. To celebrate this amazing milestone for Four Horses, we have put all our games on sale on all Nintendo hardware. That's right - you can get 25% off Digger Dan DX on Nintendo 3DS, Kid Tripp on Nintendo 3DS and Switch and Miles & Kilo on Nintendo Switch. Come play them at EGX then save some money on the eShop. Today marks the launch of the Miles & Kilo Demo in North America. If you have been on the fence about getting this game, now you have a perfect opportunity to try it before you buy it. Players in the Nintendo of Europe region can download the demo from next Thursday, the 13th September. To celebrate the one year anniversary of the launch of Kid Tripp on the Nintendo 3DS, we are having a Summer Sale. Kid Tripp is 50% off on both the 3DS and Nintendo Switch for the next two weeks. Don't miss out on this fantastic offer! The day is finally here! Miles & Kilo is on sale in America and Europe on the Nintendo Switch. The offers detailed below are still available for another week, so get a move on if you don't want to miss out on these fantastic deals! Ever wanted to meet the developer behind the Nintendo versions of Kid Tripp and Miles & Kilo? Planning on visiting Birmingham, England some time between Thursday 20th September and Sunday 23rd September this year? Head in to EGX at the NEC and you can do just that! Or come along just to have a play on the games. You can probably try out one or two games from some other developers if you like while you are there. That's right, Four Horses are going to be exhibiting at their first ever show! Exciting times indeed. Miles & Kilo is available to pre-purchase right now in America and Europe! It launches on July 5th, just two short weeks away. To celebrate the launch, we have two amazing offers for anyone who buys Miles & Kilo during the launch period. For players who don't already own Kid Tripp on Switch, we are giving it away completely free of charge to anyone who buys Miles & Kilo! The 100% discount will be applied at the checkout on the Switch eShop. For players who already own Kid Tripp, a 50% discount will be applied to their purchase of Miles & Kilo at the Switch eShop checkout. Both these offers are only available until July 12th, so don't hang around! Kid Tripp is getting a demo. Not picked up this bargain from the Nintendo 3DS or Switch eShops yet? Fancy trying before you buy? From Thursday 31st May, you'll be able to in North America and Europe. It will be coming to Japan later in a few weeks. It gives us enormous pleasure to be able to announce that our next Nintendo Switch eShop game will be Miles & Kilo which is the sequel to Kid Tripp. Miles & Kilo takes all the great features of Kid Tripp, turns them up to 11 and throws in a dog for good measure! Play your way: with full control of Miles, you can spend as long as you like carefully picking your way through the levels or turn Autorun on and go for your fastest times, the choice is yours. Miles and Kilo is bigger and more refined than Kid Tripp and will be crash landing onto the Nintendo Switch eShop later this year. We are busy working on an update for Kid Tripp on the Nintendo Switch and Nintendo 3DS. Both versions will feature fully configurable controls and a tutorial. The Switch version will also include Video Capture, HD Rumble and most importantly, a new icon! Check here to vote for your favourite icon! Kid Tripp is now available worldwide on the Nintendo Switch! Kid Tripp will be arriving on the Nintendo Switch eShop in just over one week on the 23rd November worldwide. The game content is identical to the 3DS version but we have plans to add more features and content later if the Switch version proves popular. The day is here! Kid Tripp is now available on the Nintendo 3DS eShops in the North American and European regions. Today we start work on the Nintendo Switch conversion of Kid Tripp. You can follow the blog here. Great news! We can now announce the launch date of Kid Tripp onto the Nintendo 3DS eShop in North America, Europe and Australia. It will arrive on July 27th in those regions with Japan following later in the year. Not too long to wait! We will begin work on the Nintendo Switch version very soon and when we do, there will be a blog about the development process and the progress of the conversion. When it starts, we'll post a link to it here. We may include some sneaky screenshots and videos of the work-in-progress build. Today we are able to share the fantastic news that Four Horses is now a registered Nintendo Switch developer and that we are going to be bringing Kid Tripp to the Switch as soon as we possibly can. We'll add more information about the Switch version along with screenshots when they become available. We are pleased to finally announce that our second Nintendo 3DS eShop game is nearing completion and is scheduled to be on sale later this year. The game is a conversion of the much loved platform auto-runner Kid Tripp, which is currently available on iOS. Further information will be added in the near future along with a dedicated game page and press page. The Digger Dan DX competition is now closed for new entries. The winner will be announced on the competition page just as soon as we can work out who has the earliest valid claim! There are two claimants whose entries came in within 47 minutes of each other, we just have to determine if the earlier one is valid. We don't want to be rewarding cheaters! We have received two claims for the competition prize so far, the first at 11:13pm on the 9th, and the next at 1:25am today. Don't give up hope, though! As yet, both these claims are unverified so you are still in with a chance of winning. Also, as mentioned below, if you are a Nintendo of America customer who bought Digger Dan after the update was launched, 25 hours will be subtracted from your entry time to negate the delay in getting the game available for sale in your region. Digger Dan DX is now available for purchase on the Nintendo of America eShop. It appeared on there around 25 hours after it went live for updating in American regions and for sale and update in Europe. To make things fair for customers who had to wait 25 hours before they could make a start on the competition, we have decided that any entries made to the competition for Nintendo of America customers who bought the game on or after September 9th will be treated as having being received 25 hours earlier. Proof will be needed to show that you are a Nintendo of America customer and when you bought the game, but this will be sorted after your claim is received. It seems that the launch of the 1.1 patch of Digger Dan DX has not gone as smoothly as we had hoped. Existing customers in North America are able to update their copies of the game but, for unknown reasons, new customers cannot access the game page on the eShop. We are working with Nintendo of America to get this issue resolved as soon as possible. We are aware that this gives new customers in that region a disadvantage with the competition and we are currently working out if it will be possible to take the launch delay into account when deciding who is the first to collect all 125 gold stars, so don't despair if you can't buy the game just yet, we'll sort things out so that the competition is fair. Just keep searching on the eShop for 'digger' until the game appears there. We are pleased to announce that Digger Dan DX has returned to the eShop around the world. To celebrate this occasion, we have launched a competition for the first player to earn gold stars on all 125 levels with a prize of £250. Check out the competition page for more details. Digger Dan DX has been updated and submitted to Nintendo ready to return to the eShop. As part of the update, 25 challenging bonus levels have been added free of charge. Existing owners will be able to update the game via the eShop to access the new levels. Digger Dan DX was removed from the Nintendo eShop earlier this week after a copyright infringement claim was raised against it by First Star Software, who own numerous copyrights and trademarks relating to the Boulder Dash games. After some very amicable discussions with First Star Software, the issues have been resolved and Digger Dan DX will be returning to the Nintendo eShop in the near future. More information will appear here as soon as we know when it will be on sale again. Digger Dan DX launched on the Nintendo eShop today. There is a launch discount of 50% until 2nd June, so grab it as soon as possible. You can find it on the 3DS eShop or by visiting Nintendo's website for your region. Here are some handy links: Americas Europe. We are delighted to be able to announce today that Digger Dan DX will be released in both the Nintendo of America and Nintendo of Europe regions on Thursday 19th May 2016 - less than 10 days away! The regular price will be $1.99 / £1.79 / €1.99 however it is launching at the discount price of $0.99 / £0.89 / €0.99 for the first two weeks. Good news, everybody! Digger Dan DX has been submitted to Nintendo for final testing ready for sale. To celebrate, new screenshots of the 2nd theme have been added to the game page. We are proud to finally announce that Digger Dan DX is on its way to the Nintendo 3DS. This improved version of the original DSiWare Digger Dan and Kaboom has been spruced up, polished and given a new name ready to tunnel its way onto the Nintendo	eShop. Development is nearing completion and we plan to launch the game worldwide before the end of Summer 2016. Time for celebrations. Nintendo have approved Four Horses as a developer of Wii U and 3DS games. Now all we have to do is make one. Today we have commissioned a highly talented pixel artist to produce artwork for our current, as yet unannounced, project. We plan to announce what the project is in the next few weeks. 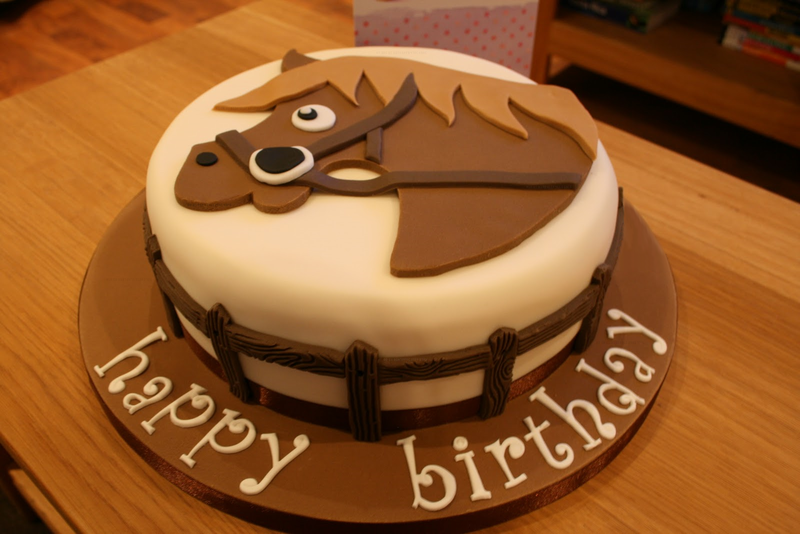 Four Horses Ltd was 'born' on this day. More information can be found on the Company page. Nintendo Switch is a trademark of Nintendo. © 2017 Nintendo. Nintendo 3DS is a trademark of Nintendo. © 2011 Nintendo. Nintendo DSi is a trademark of Nintendo. © 2009 Nintendo.